People Inc. is building a 42 unit senior housing complex at 276 Waverly. 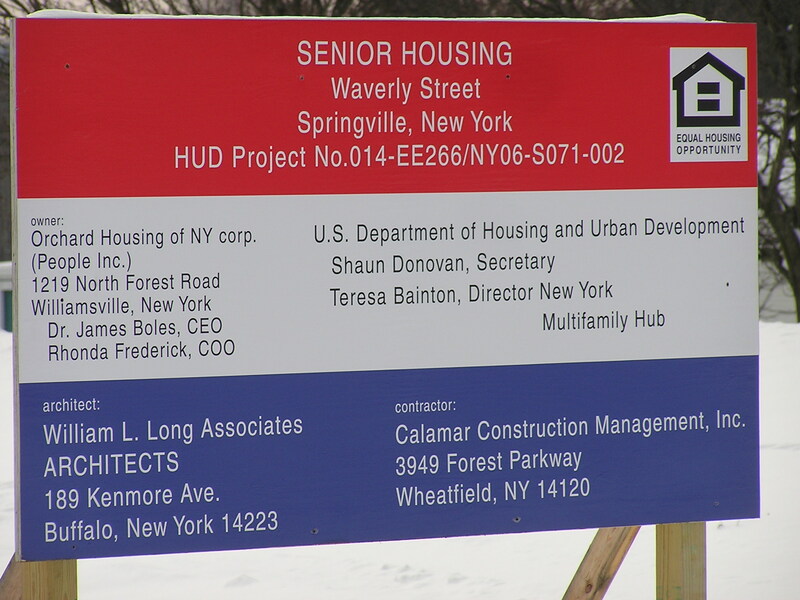 The $6 million project is funded by the Department of Housing and Urban Development (HUD). The complex provides a safe and modern living community for seniors 62 years of age and older who meet the federally mandated income guidelines. The local senior advocacy group SCENe advocated for the development, and Village board approvals facilitated the timely development of this project. Unlike many of the 16 Villages in Erie County, Springville has much undeveloped space within its Village limits. 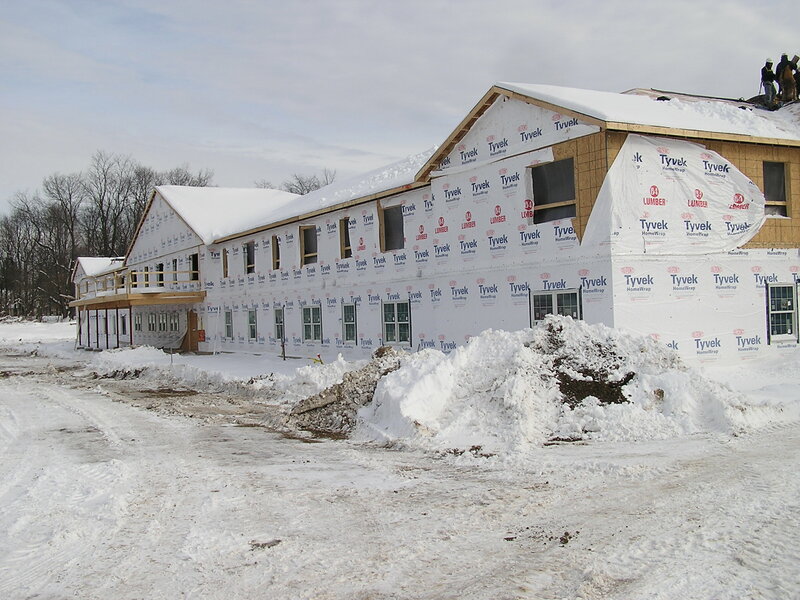 People Inc. is constructing this state-of-the-art senior living complex on Waverly Street.